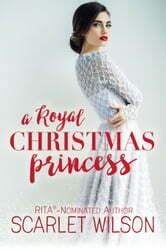 A wonderful tale of a young woman not only discovering that she is adopted but that she may well be a real life princess. Her parents were wonderful people but they are gone now and she has a chance to meet her biological father and discover where she came from. She wants to explore the country of Coronia and get to know her father before letting everyone know that she, Holly Yates, is actually the lost princess of Coronia. Felix, the one everyone thought would take over the throne, is wonderful and helps her see the country and learn the ways of Coronia. The two become very close but they know their time is limited before her returns to NY. Will Holly take over the throne and will her story have the fairy tale happily ever after? Definitely a book I recommend to everyone. The perfect Christmas fairy tale of a lost princess. Holly is at her wits end after loosing her parents and mounting bills when she finds out that she was adopted and now might be the lost princess of Coronia. Her birth father, the king has one last wish on his death bed to find his daughter before he dies. Felix, soon to be prince ( he does not want) goes to the states to find Holly. He will whisk her off to Coronia to meet her father. Everyone falls in love with Holly, and even Felix. I so enjoyed this Christmas fairy tale. Great characters and very descriptive writing of the scenes. I high recommend this book. I received this book from Netgalley for an honest review. LOVED this book! This is a delightful and sweet tale about a lost princess. After a long search, they believe that they have found the lost princes, but she is a mediocre young woman in Baltimore that is juggling three jobs and dire financial straits. Despite this, she isn't sure she wants to be a princess and all that it entails. This is a wonderful novel that shows a young woman with deep character and convictions, but not much else. If is refreshing to read a novel like this and fans of the genre will love this book. This i the first book I've read by this author, but it won't be the last. I've added her to my must read authors' list. Holly finds out the truth about her past and travels to a new country and finds her prince. Great story to curl up on a cool night. Ebook from netgalley and publishers with thanks. Opinion is my own.